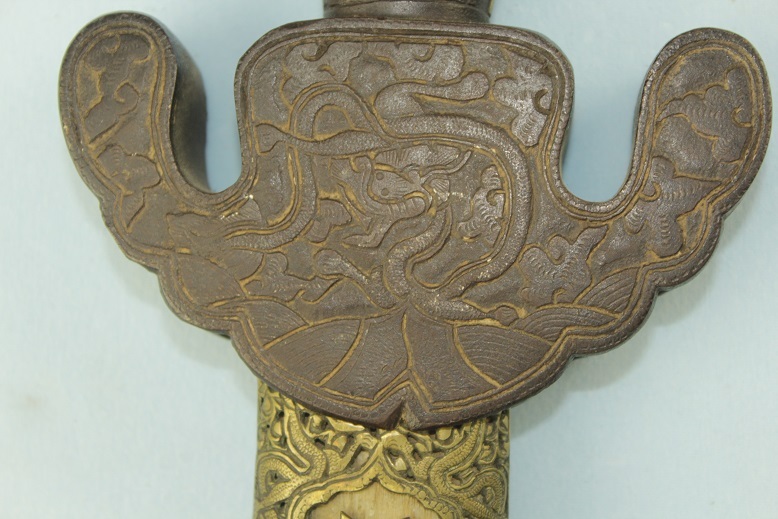 An extremely rare two handed Jian. 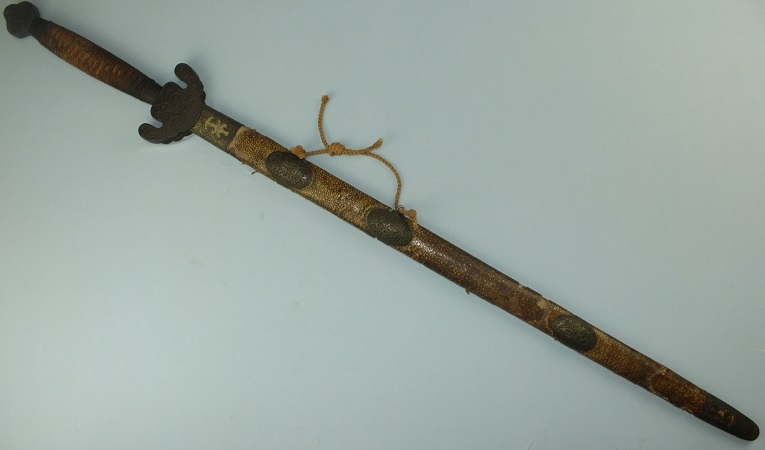 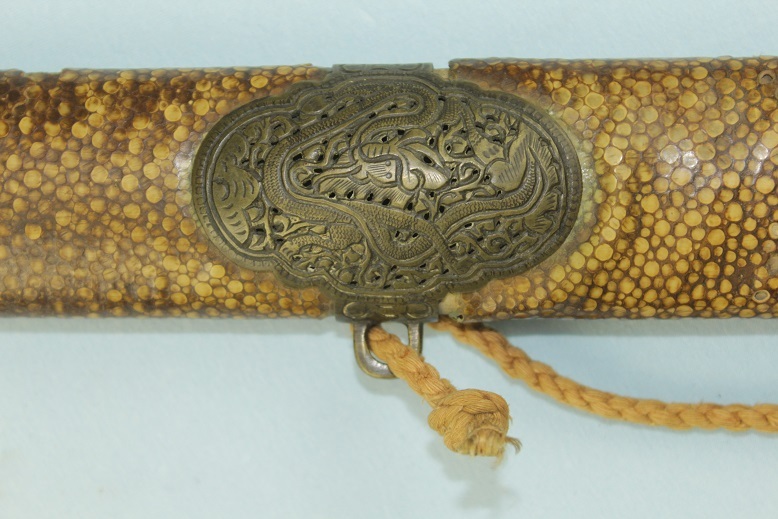 This very large and well balanced Jian measures 126cs long in its scabbard. 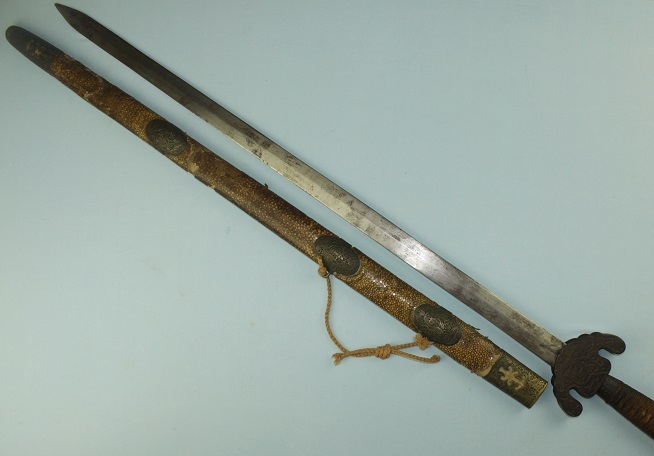 Out is it 124.5cms long out and has a blade length of 89cms to the oversized guard edge or 95.5cms long to the tang. 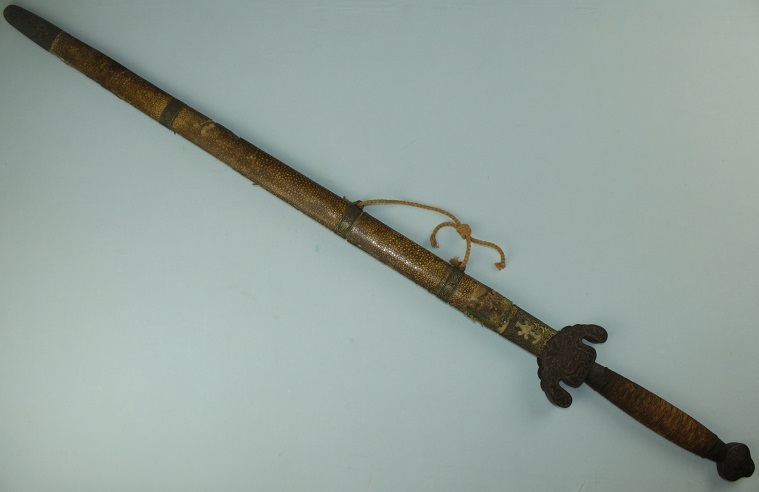 The massive hilt is timber bound in the traditional cloth wrap, a wrap that looks to be original to the sword. 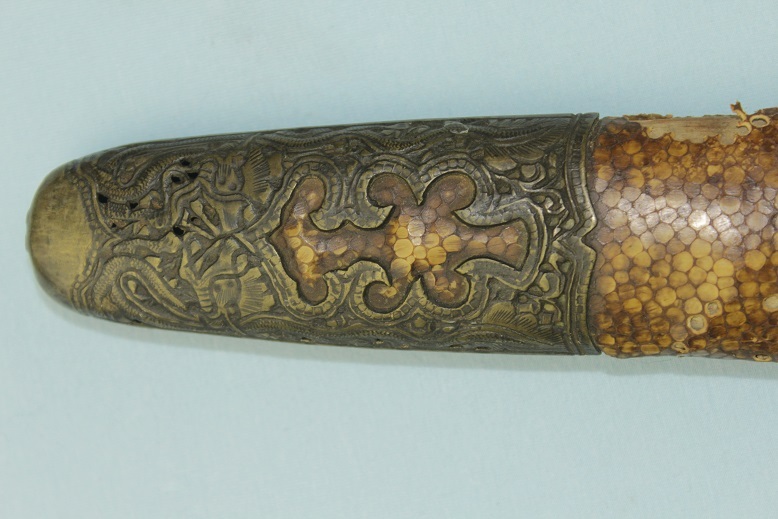 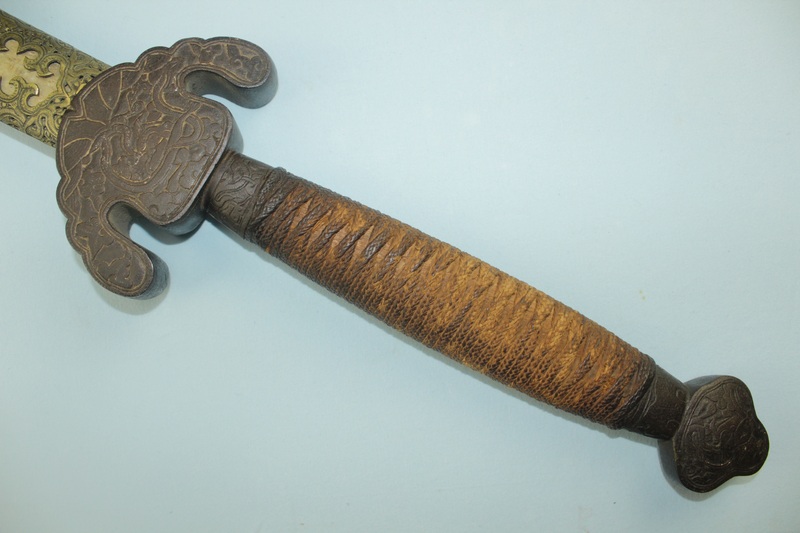 The hilt is finished in large oversized engraved iron fittings. 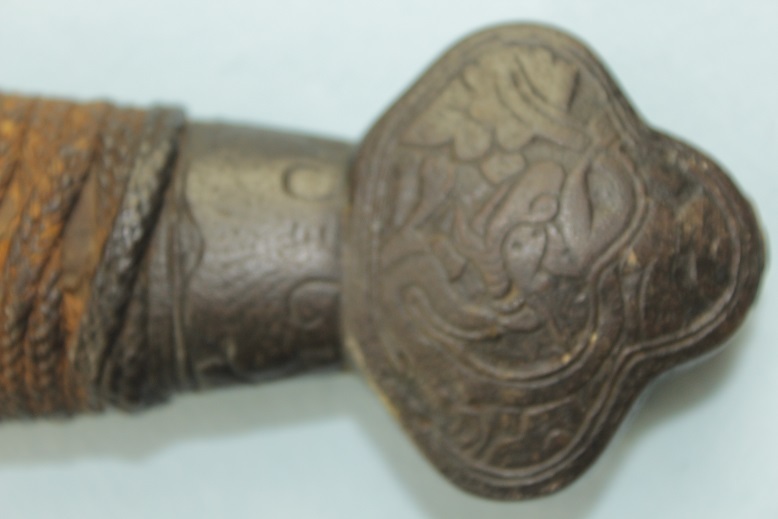 The pommel is 6cms across while the guard is 13cms across. 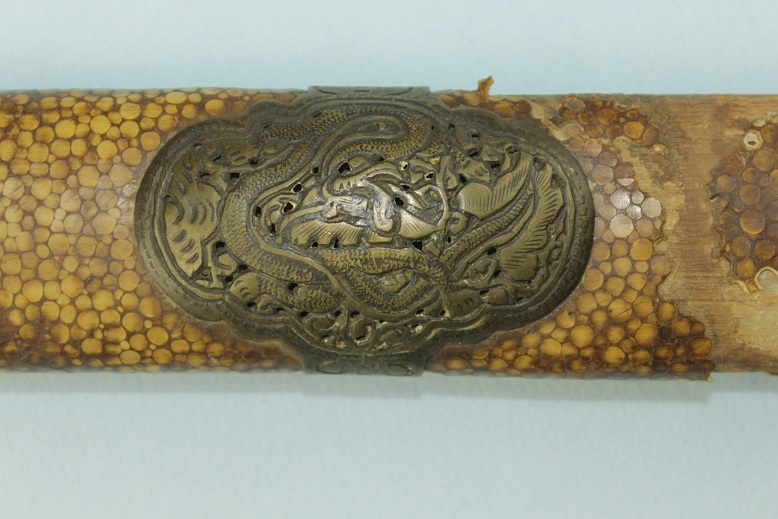 Both fittings show a Chinese dragon within cloud like motifs. 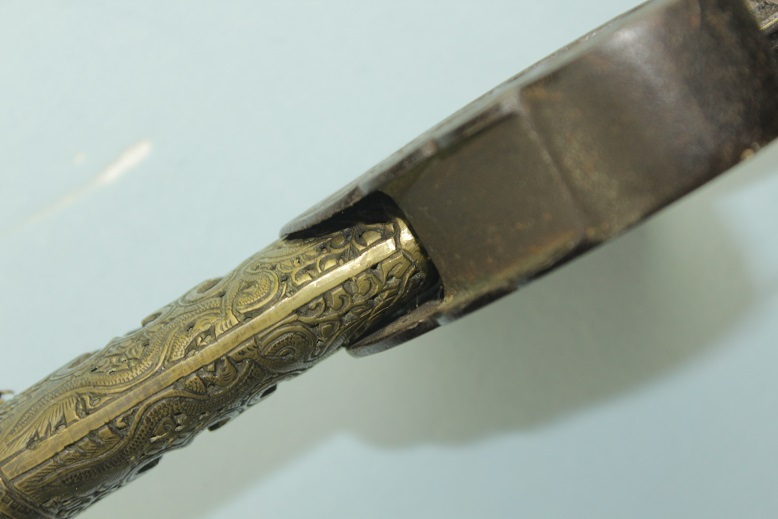 The blade is a very well forged type of fighting quality. 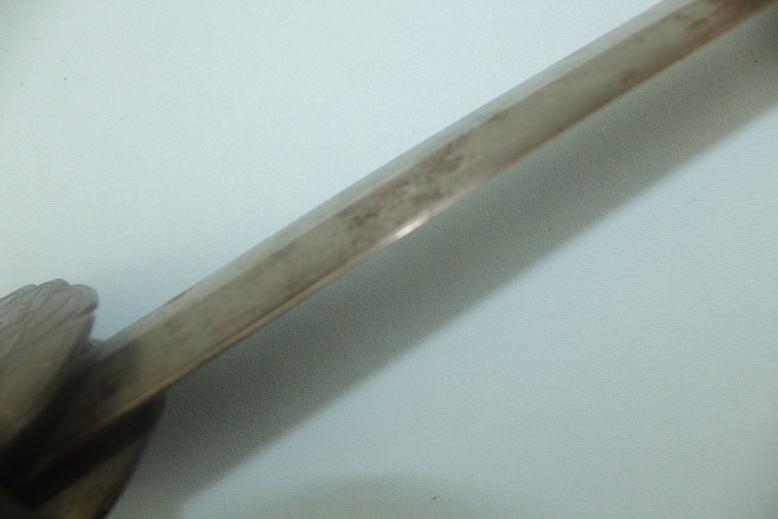 It has a thick medial ridge running through to the tip where a small amount of light pitting is seen and clear hardened edges are seen throughout the length of the blade. 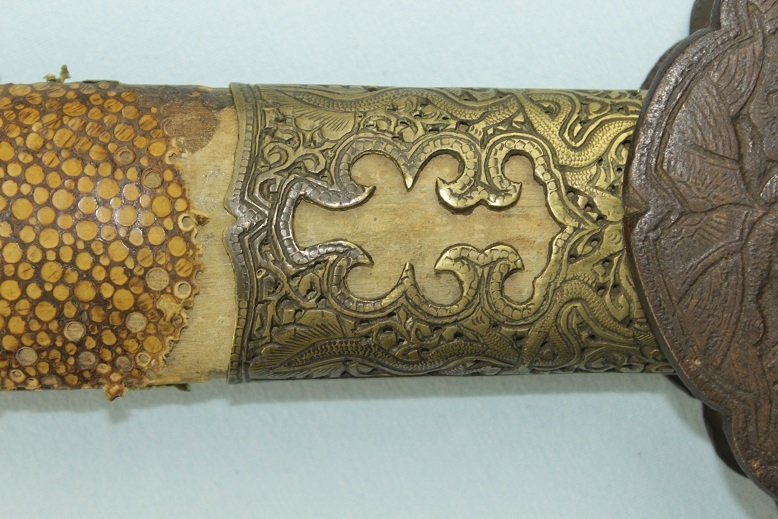 The scabbard is covered in ray skin, likely once painted but now showing losses from age and use. 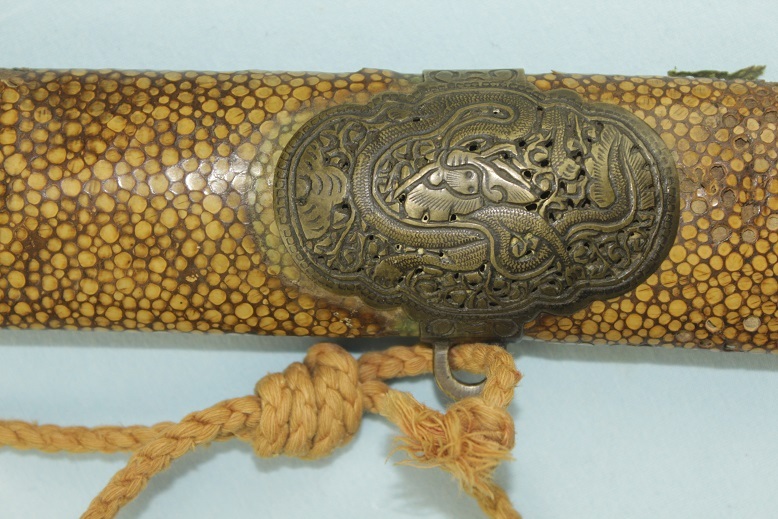 Attached to the scabbard are 5 oversized pierced bronze fittings with each fitting displaying a Chinese dragon. 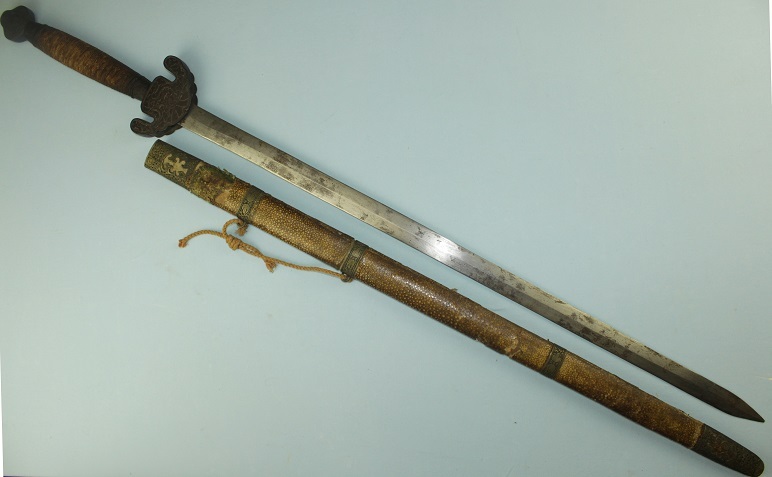 For its size, this Jian is a well balanced sword, easily used with one or two hands.